PR CONNERY? 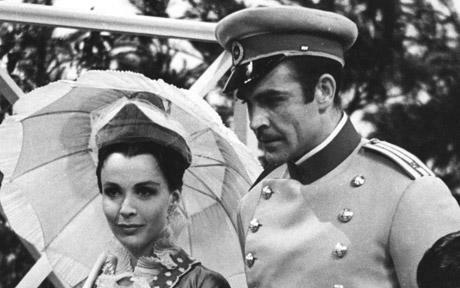 Critics have been quick to pounce on claims a TV adaptation of Anna Karenina starring former James Bond Sean Connery was ever missing. HOW CAN you find something that isn’t lost? That’s the question classic TV fans are asking following the announcement that a missing BBC Sean Connery drama has been ‘found’. 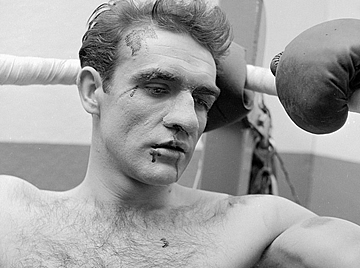 Claims that a 1961 adaptation of Anna Karenina starring the former 007 has been ‘rediscovered’ in the BBC archives have drawn the ire of TV professionals, collectors and enthusiasts alike since the ‘news’ was announced, on August 18. Both the BBC and The Telegraph have run with the story which, it is argued, is a “non-story” and “cynical PR stunt” devised to promote the forthcoming DVD release through Simply Home Entertainment. Critics have pointed out that the b & w period drama, directed by famed television director Rudolph Cartier, has been “known” to be safely held within the BBC since first broadcast on November 3, 1961. They cite the fact that a Region 1 DVD release of the ‘supposedly lost’ programme was released in America by BBC Video in April 2008, two whole years before Anna Karenina’s ‘rediscovery’. They also say that clips from the drama were screened during a 1990 edition of BBC 2’s The Late Show featuring a retrospective on Cartier, who died in 1994, aged 90. The feature was later repeated on July 1, 1994, under the title Rudolph Cartier: A Television Pioneer. Three years later, in 1997, further clips from the drama apparently appeared in an edition of the BBC’s Before They Were Famous. TV enthusiasts have been quick to find holes in the Karenina discovery story, with BBC commercial executive Nick Lee coming under particular fire. His comments that he “just found this in the archive” and that “perhaps it wasn’t on the radar” have been noted for their “ambiguity” and “misrepresentation”, especially with counterclaims that the tape has been logged on the BBC’s filing system for “years”. So is the “long-lost” Anna Karenina recovery true or false? PR spin, error or hard fact?